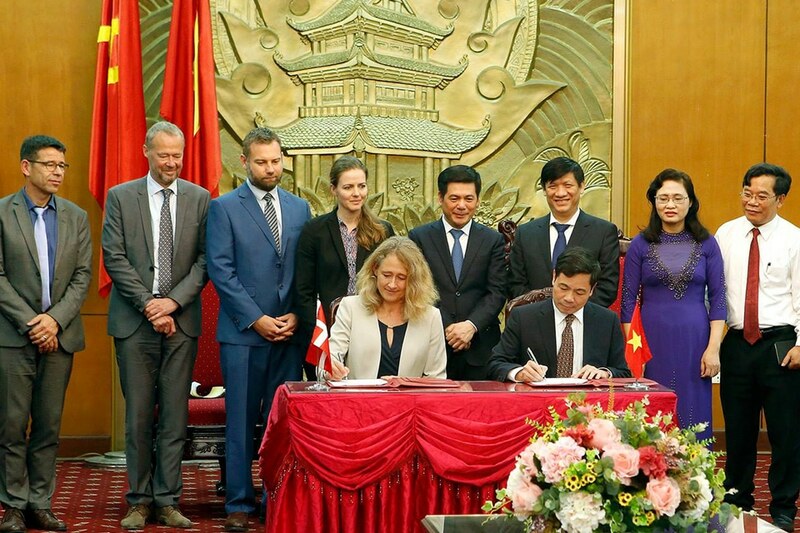 The positive bilateral cooperation between Denmark and Vietnam in the health sector was emphasized when Denmark’s health minister Ellen Thrane Nørby visited Vietnam 10-11 April last week. During her visit, the Danish Minister of Health met with Vietnam’s Prime Minister Mr. Nguyen Xuan Phuc and Health Minister Nguyen Thi Kim Tien. Both ministers emphasized the mutual Danish-Vietnamese desire for increased sectoral cooperation between the two countries in the field of health. The visit also included the launch of a five million kroner multidisciplinary research project that looks into informal health care system in managing epidemics of non-communicable diseases. The project that is called “Living Together with Chronic Disease: Informal Support for Diabetes Management in Vietnam” is headed by Professor Tine Gammeltoft, Department of Anthropology, University of Copenhagen. In addition to map out how the informal health care systems affects the diabetes patients, the goal of the project is to develop new methods that can improve the patients daily life. The research project is a collaboration between the Department of Anthropology, Department of Global Health (KU / SUND), University of Southern Denmark, Thai Binh University in Vietnam, Ministry of Health in Denmark and Vietnam, and Novo Nordisk. The project is supported by the Danish Ministry of Foreign Affairs and is one of the new research collaboration projects linked to the Strategic Sector Cooperation Facility. Danida Fellowship Centre manages research grants and support education, learning and capacity development for partners in low-income and emerging economies.